Beulah is committed to nurturing children and youth in their love for Christ and service to God’s world. We offer Sunday school, children’s programs, Confirmation classes, youth groups, and summer experiences as part of this faith development. Sunday school is available for children, as well as youth and adults, at 9:30 a.m. on Sundays beginning after Labor Day through the spring. Children’s classes meet in the Ramsey Activities building, just across the parking lot from the main church. A class is offered for children in Kindergarten-5th grade. Two teachers will offer the lesson, which includes studying scripture and doing activities and crafts together. Childcare is available for children ages infant – five years in our Nursery, located in the Christian Education area of the main building. On Sundays, the nursery is staffed by both a staff member and church volunteers. Christian nurture at church begins in this safe and loving environment. The nursery is open during Sunday school and the worship service. Sunday school for youth in 6th-12th grades meets in the youth rooms upstairs in the Ramsey Activity Building, which also houses our gym. The Ramsey Building is just across the parking lot from the main church building. Youth enjoy a relaxed setting to study scripture, faith, and life in today’s world. Youth Group is offered for Middle School and High School youth three Sundays a month at 4 p.m. Youth will engage in Bible study and group building activities which provide youth the opportunity to grow, learn, and engage in their community in a positive way. Members of the Youth Groups have opportunities to attend various church conferences and mission trips both locally and nationwide. Young Disciples is a pre-youth group for children in Kindergarten-5th grade. Children will meet from 12 noon-2 p.m. after worship, on the third Sunday of the month for lunch, games, a Bible lesson, and fun together. 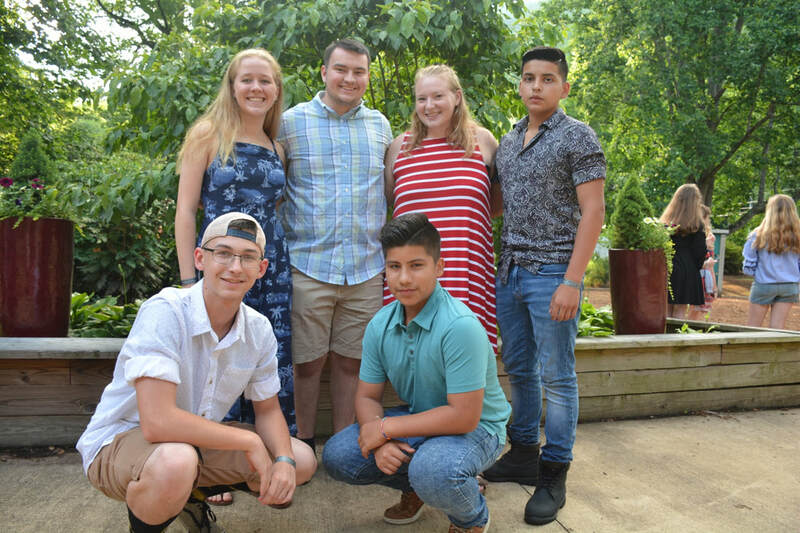 When youth have matured in faith and are ready to become full members of the church, they dig deeper into their own beliefs and Christian understanding through Confirmation Classes. These classes study major areas of our faith, such as worship, sacraments, polity, and mission. Youth are usually paired with an adult mentor who helps them explore their faith. At the conclusion of the classes, youth who were baptized previously profess their own faith and confirm the promises their parents/guardians made on their behalf at baptism. Youth who have not yet been baptized profess their faith and receive the sacrament of baptism. This is a celebratory moment in a young person’s life and the doorway to a richer experience of Christian faith.